November has been an exciting month for me - in between one thing and another I don't think I've worked a full working week this month! Since 2013, me and my friend Sarah-Jane have been meeting up for 5SOS gigs, and since it was going to cost me £250 to fly to London I thought, why don't we meet in Milan for £40? I'd previously visited other parts of Italy on a cruise but this was my first time visiting the fashion capital. 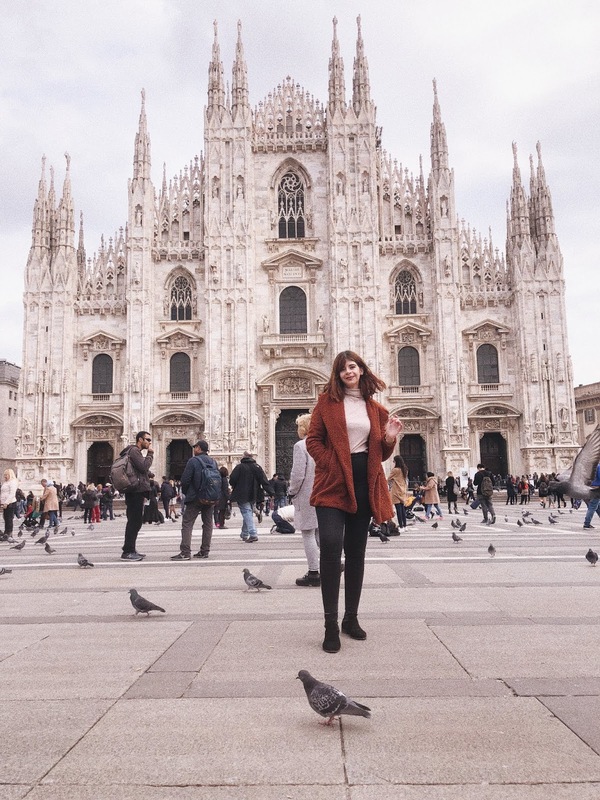 Milan is definitely one of those cities that you can escape to for just a weekend, as we did everything we wanted to do. Here's my guide to a girly weekend in Milan, Italy. 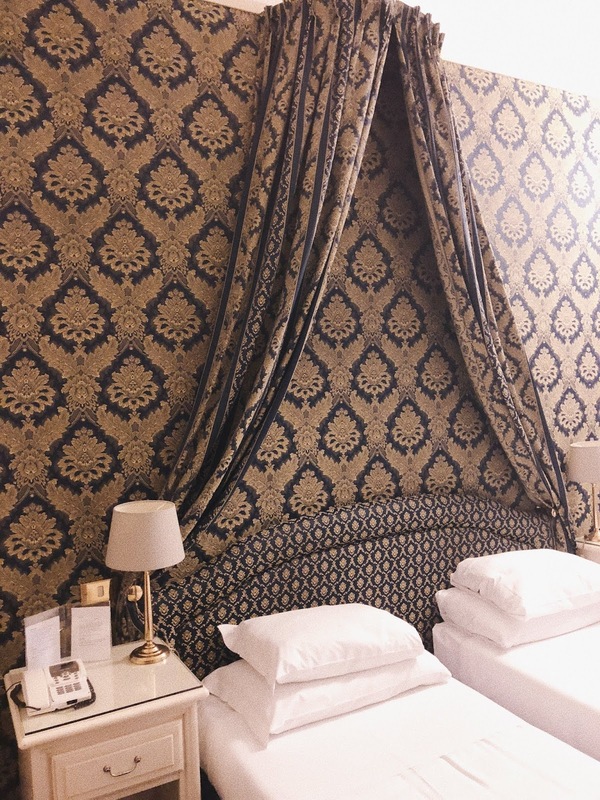 Where to Stay in Milan, Italy. We stayed at the Antica Locanda Leonardo which was a 15 minute walk from the Duomo and a couple of minutes away from the church that houses The Last Supper painting. We actually didn't get round to seeing this because tickets sell out months in advance, so if you are interesting in seeing it make sure you check early. There are also ways of seeing it if you book onto it as part of another tour. The boutique hotel was very quaint and had cute little patio and the best part was, there was sockets next to the bed woo!! We paid around 140 euros each for 3 nights which isn't too bad for the centre of Milan. My only issue was that my first night the room got very hot and an open window or turning the aircon on didn't seem to help - so I just slept in my underwear starfished on the bed. Getting around in Milan, Italy. I flew in to Malpensa airport, and from there I took a direct 45 minute train to Cardona station and I then had a 6 minute walk to my hotel. There were two trains every hour and start from 5am. 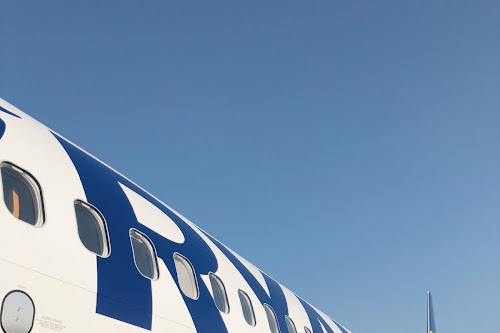 There is also another direct route from Malpensa airport that takes you to Milan Centre. Once you're in the city, you can pretty much walk around to all the sights of interest or get the metro. A single journey on the metro will cost you 1.5 euros. We started off our day with a coffee and chocolate croissant at the Colonial Cafe. One thing I found with most places is that 'to go' coffee isn't a thing - perhaps because paper cups ruin the coffee and in Italy it might be quite insulting. 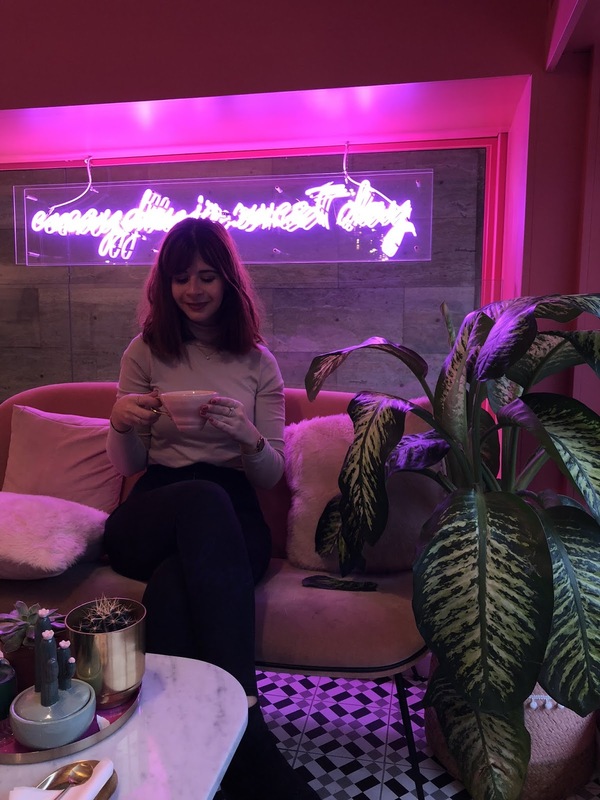 Either way I was happy to sit and drink my latte in the cosy cafe whilst catching up with my friend Sarah-Jane who I hadn't seen in over 3 years. The obvious place to start is at the Duomo Milano. This cathedral is covered with more than 3400 statues and really is one of the most beautiful work of architecture I have come across. We only saw it from the outside but you can buy tickets for the Duomo online for 14 euros to take a tour from the inside and see the great views of the city. If you're very comitted to the IG cause you're going to have to get here before 8am - or else you'll be surrounded by tourists and an equal amount of pigeons. 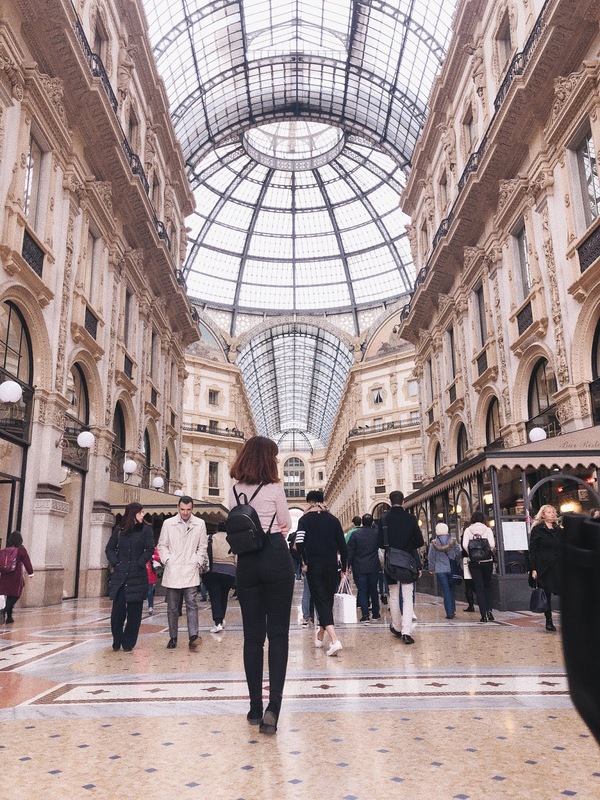 Next up, you'll come across the shops in Galleria Vittorio Emanuele II to the left of the Cathedral - which is where you will find Louis Vuitton, Prada, Versace and all your other high end stores. Even if you don't plan to do any shopping it's a beautiful passageway to explore. Every shop opened here has to have the same black and gold shop sign, so even McDonald's had to comply, until it was moved outside the gallery and reverted to its original logo. 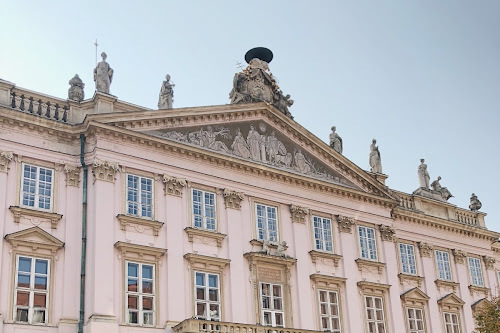 The Gallery was built in 1865 and sadly the architect, Giuseppe Mengoni died a couple of days before the opening, because he was checking something on the roof and slipped. 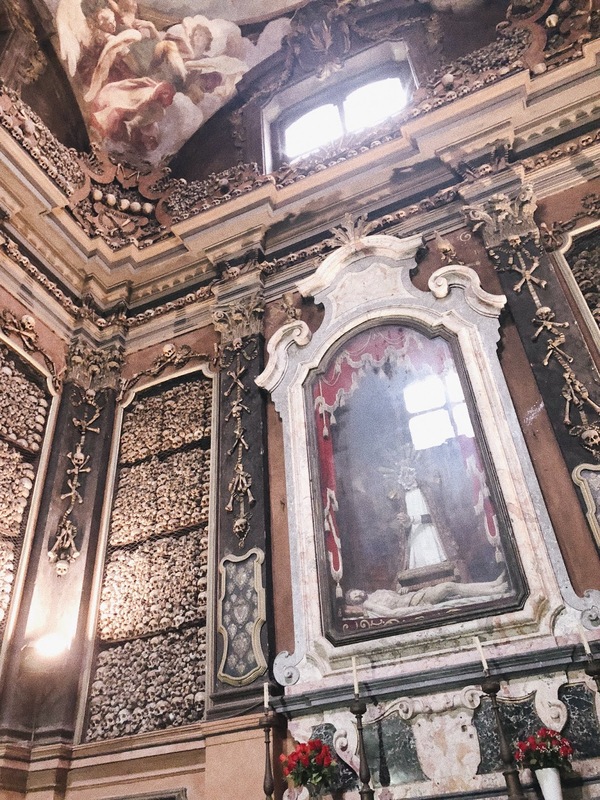 A short 8 minute walk from here, you'll get to the San Bernardino church, but the point of interest here lies in the Ossuary - a room full of bones and skulls. This might not be for everyone but it was quite an interesting sight to see. 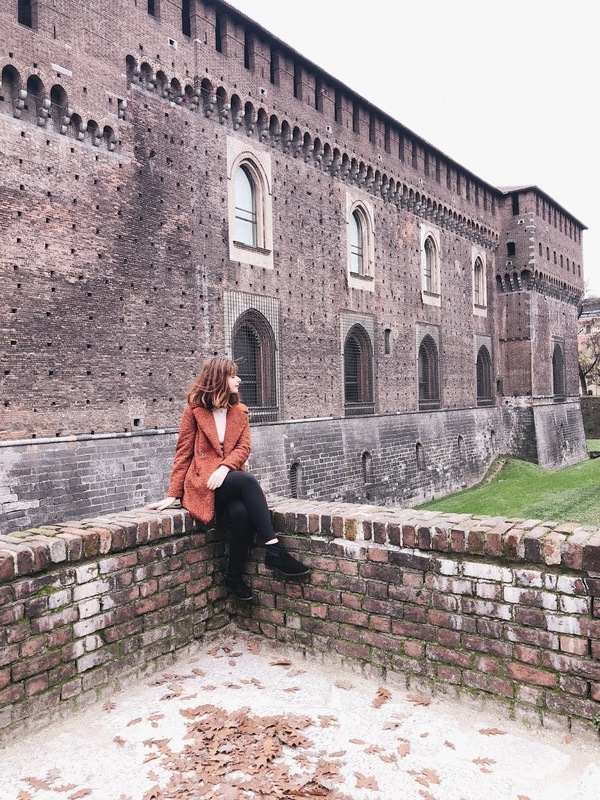 Another 20 minute walk, will lead you to the Castello Sforzesco which isn't that big so again it's just a nice walk through to feel like you're in an episode of Game of Thrones. This will also lead you to Parco Sempione which is Milan's version of Hyde Park (kinda) and then eventually the Porta Sempione (triumphal arch). After seeing all the morning sights we wanted to head towards the Brera district as it's quite quirky and has some nice cafes, restaurants and shops. 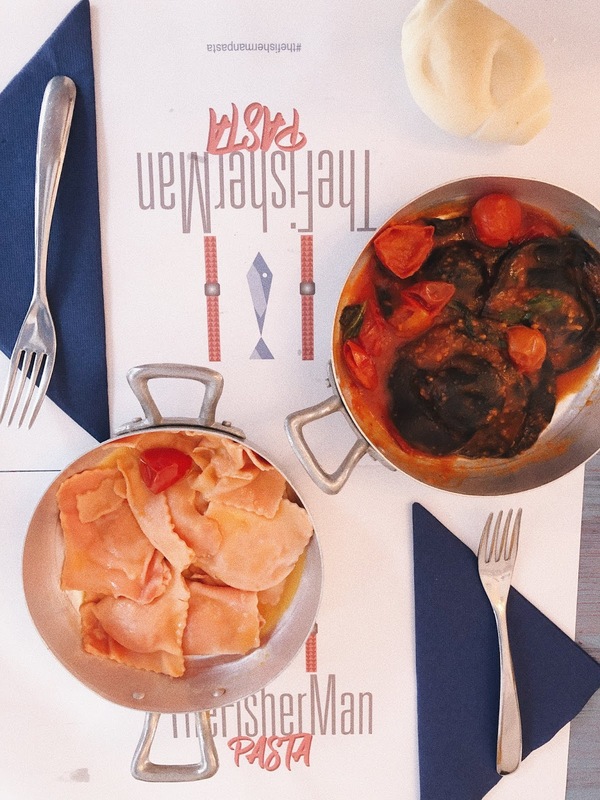 On the way we came across Fisherman Pasta and it stood out to us because of its nautical interior and well, who doesn't want pasta when they're in Italy? I got a plate of black ravioli filled with seabass for 10 euros (you can choose two portion sizes) - although I always make the mistake of ordering ravioli/tortellini because usually they only bring 4-5 large ones and well, I like my carbs. 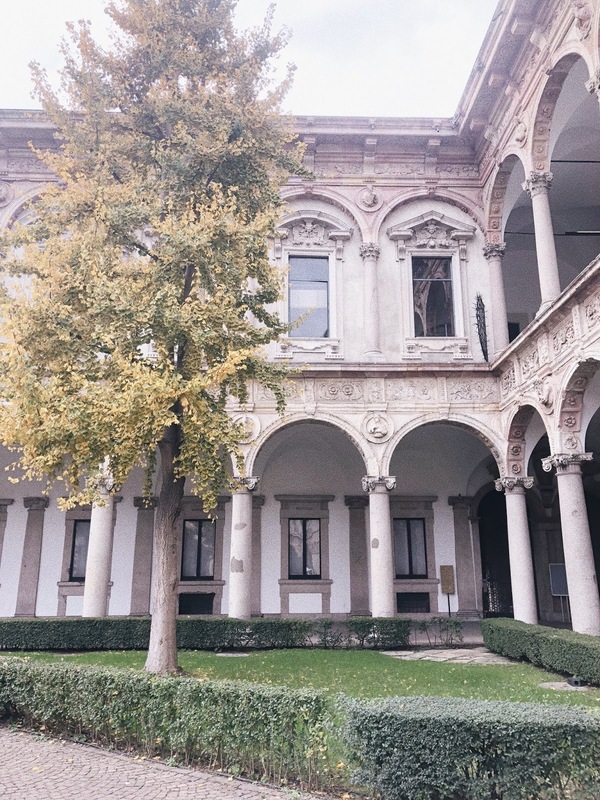 Milan hasn't got a ton of things to do, so you'll have time to venture out and explore some of the other areas. Brera is only a 15 minute walk from the centre and we also stumbled upon Rosa&Co which to be honest is a bit overpriced but it's a great place aesthetically. I payed 5.50 euros for a matcha bubble tea. 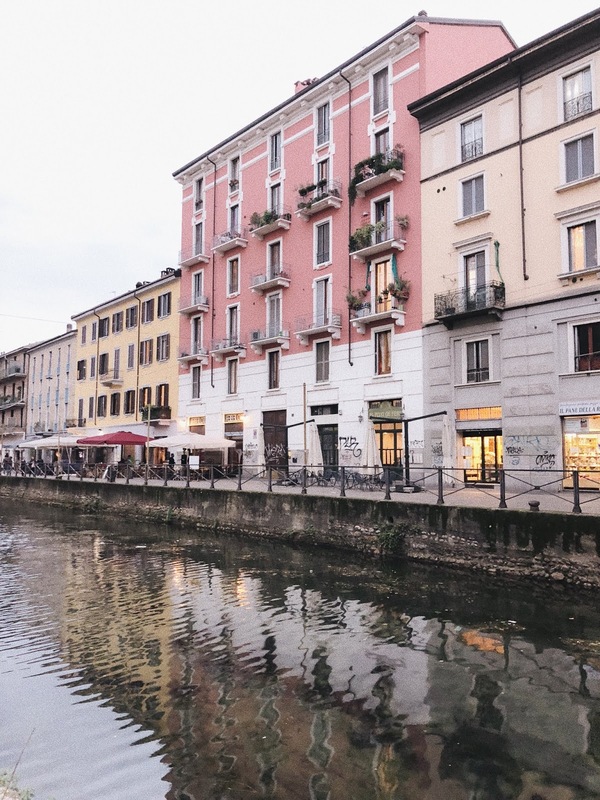 From here you can take the nearest metro to Porto Genova to reach the Navigli district which is where you'll find the picturesque canals, buzzing atmosphere and cute little shops. Here you can see the Washerwoman’s alley and the Basilica di San Lorenzo church. 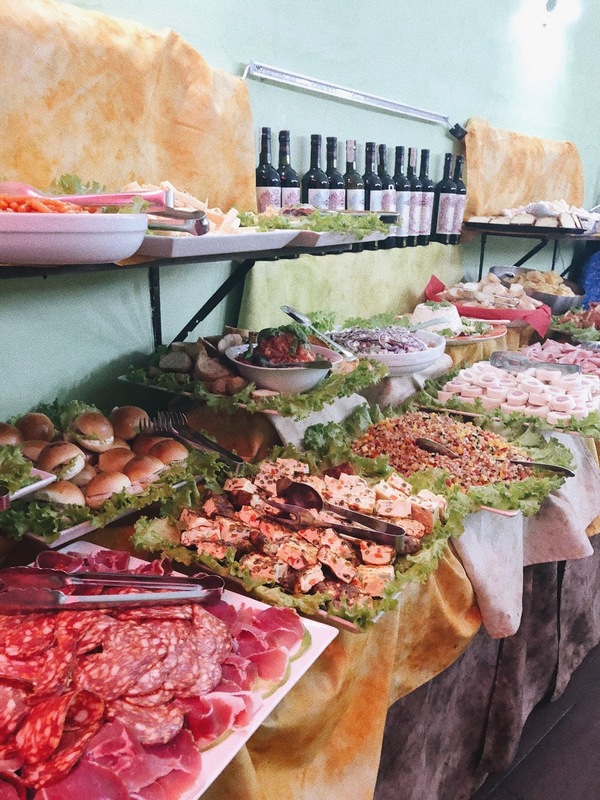 In Italy, an 'Aperitivo' is a drink and small meal had in the early evening to get you ready for all the festivities after. We'd run out of stuff to look at so we ended up having ours at MoMo at the slightly British time of 5:30pm. Most places offer this 'Happy Hour' between 6pm - 9pm and for 10 euros you can buy a drink of your choice (Aperol Spritz for me) and access to a buffet. Make sure to walk down the canal first and see which one draws your eye the most! A girly weekend to Milan obviously wouldn't be complete without a boogie in Italia. After extensive research, I trusted the internet with Old Fashion and we had a blast. 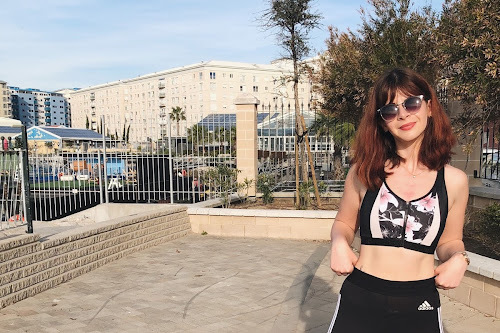 If you go on the website 24 hours before you can get a complimentary guestlist, and once that sells out tickets for women are 10 euros and that also gets you a drink (drinks inside cost 10 euros too). It's quite a fancy looking club but there were a range of people there, not just the snobby. There was one room playing house and chart music and another playling RnB and Reggaeton, so of course we didn't go home until 4:30am. 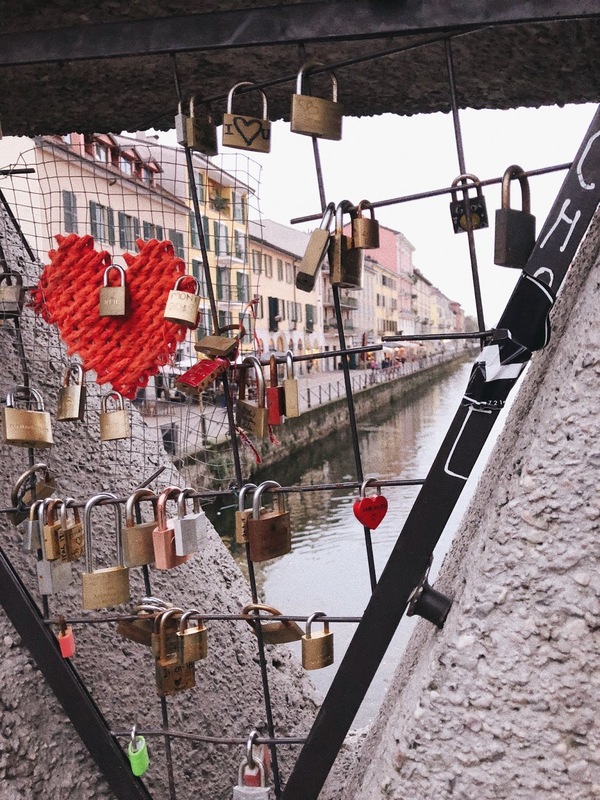 Assuming you're not hanging too much from the evening before, then Walkabout's free Milan walking tour is a great way to learn about the history of the city, see the sights and learn about the culture and stories that the guide books don't tell you. I do a 'free' walking tour in almost every city I visit, and this has to actually be in the top 3. Despite being the longest (3.5 hours), I was actually switched on the whole time and our guide Marco was very enthusiastic, flamboyant and funny. Whoever I'm with I always 'test' them at the end by asking them to tell me 3 facts they learnt and vice versa. I won't tell you about anything I learnt so that if you take this tour you're not listening to it for a second time! We were this close to just stopping at one of the tourist traps near the Duomo because it was 2:30pm and we were hungry. 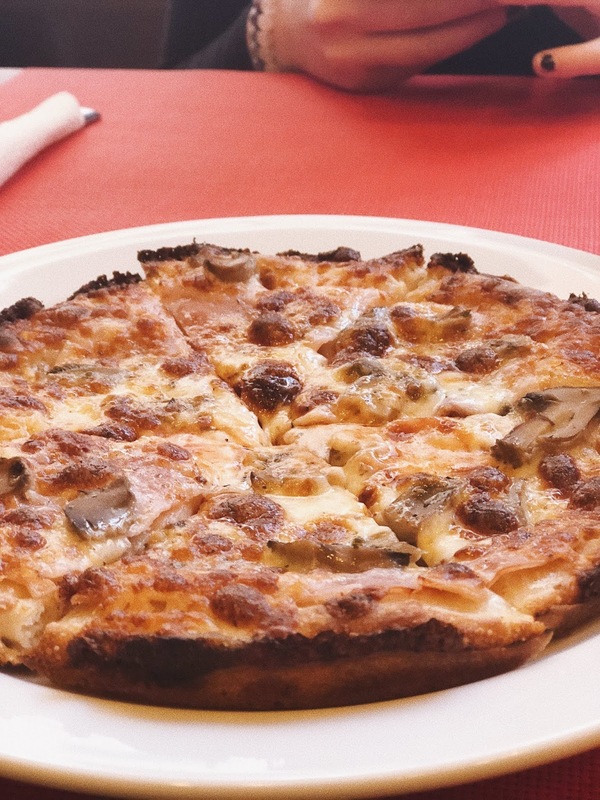 Thankfully we walked a little bit further and stumbled upon Pizza Meucci. It's a tiny place and you can tell that it was somewhere that's popular with the locals. A pizza here cost us 5 euros and they had quite an extensive variety (including Hawaiian but I decided to opt for prosciutto e funghi as to not insult the Italians. So the main reason we came to Milan was for a 5 Seconds of Summer concert, which meant we used this window to pop into a few shops (Bath and Body Works, Tiger) and then have a quick power nap before getting ready for the show. If you don't fancy doing the walking tour or want to fit it into day one, then I'd also recommend using your second day to take a trip to Lake Como as it's only a 45 minute train ride away and it's apparently beautiful. I never usually opt for burgers when eating out at home, so when I travel I do try and find the quirkiest burger place around. SJ helped me out with this and found POMET Burger. There were a lot of websites claiming they had the best burgers in Milan and to be honest, they were pretty good. Prices were around 12 euros for a burger and fries. 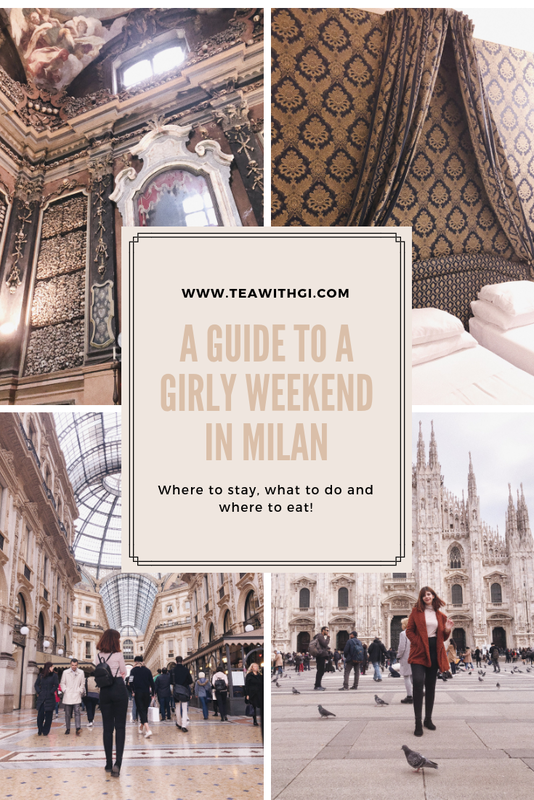 Milan is definitely a city you can fit in a weekend break without using up any of your annual leave, or it's fairly easy to get to if you want to do a tour of Italy in two weeks or so! 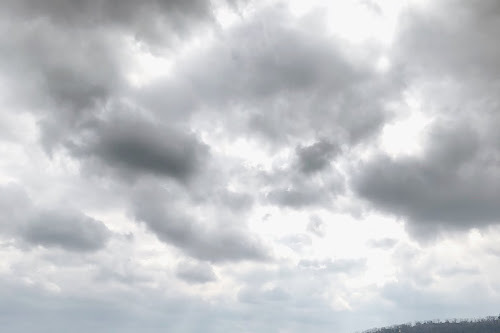 Have you ever been to Milan or other parts of Italy? What were your highlights? Oh this trip looks so much fun! 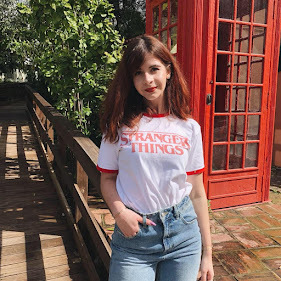 I've been looking into Milan for a while as I loved Rome and would love to explore more of Italy, this post is definitely the confidence I needed to go ahead and get it booked. All of these pictures are beautiful and that pasta looks amazing. What an incredible trip I would love to go! I would defo do a.walking tour!